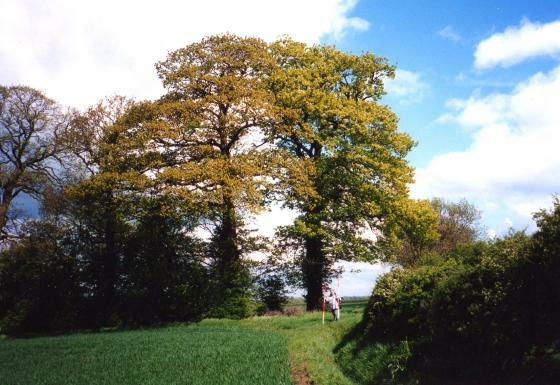 This site is part of the Rothley Ancient Parish Survey (RAPS) with one of the boundaries of the copse being the ancient boundary. 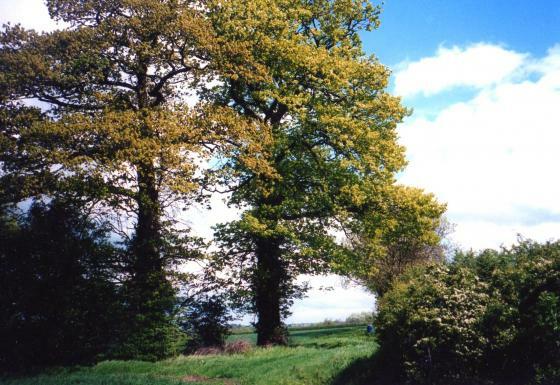 It is a very interesting point in the survey as it is where the parishes of Rothley, Wanlip and Thurcaston meet at a high elevation. 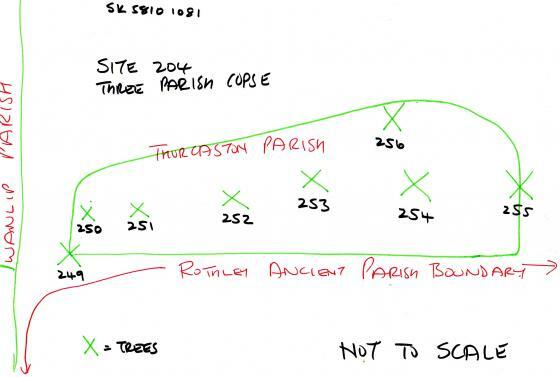 The actual copse is not within the Rothley Parish but could have significance in all three parishes but this has yet to be fully investigated. 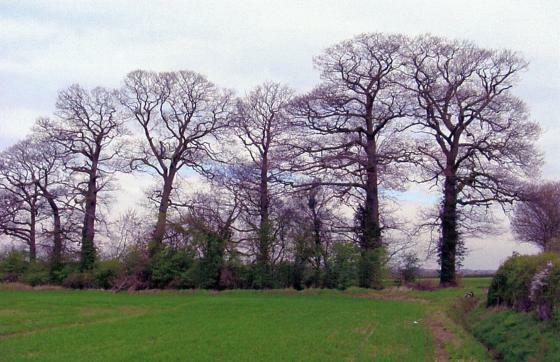 There are 8 Oak Trees within the copse which do not meet the requirements of Ancient Trees but as they are next to the boundary they are important so have been recorded as Ancient Trees 249-256 in the Natural History Survey even just outside Rothley Parish. 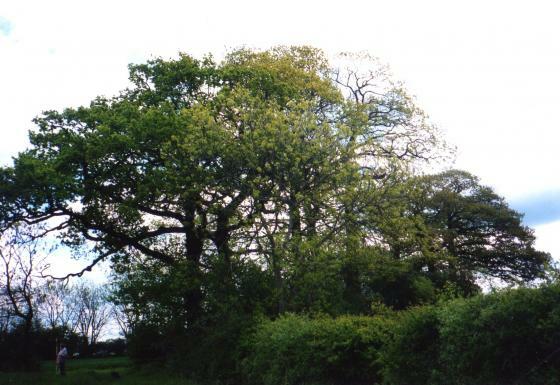 There are no ancient woodland indicator plants such as Dogs Mercury so not a remnant of other woodland and, as yet, no name has been found for this copse. 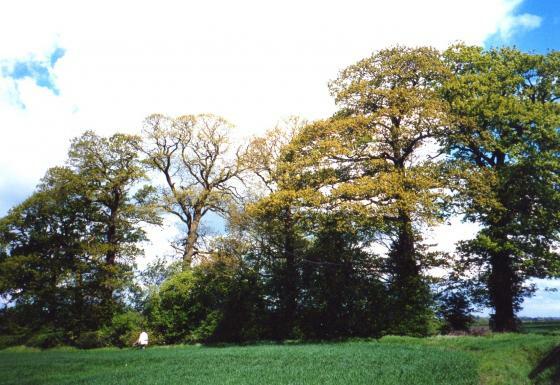 The Oaks are similar in size so all planted at the same time but the question is why was this particular place chosen to plant these trees, when were they planted and for what reason? 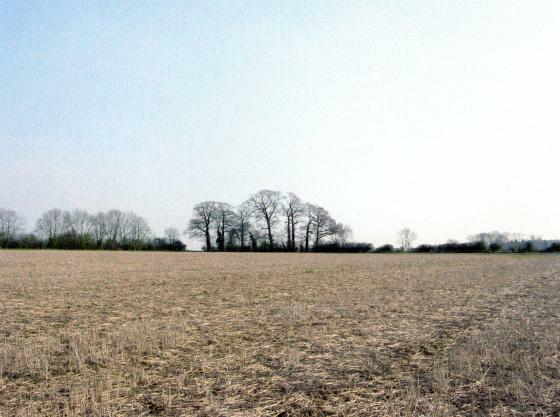 Brian is investigating to see if this site was of special interest due to its position where three parish boundaries joined as part of the Ancient Parish Boundary. 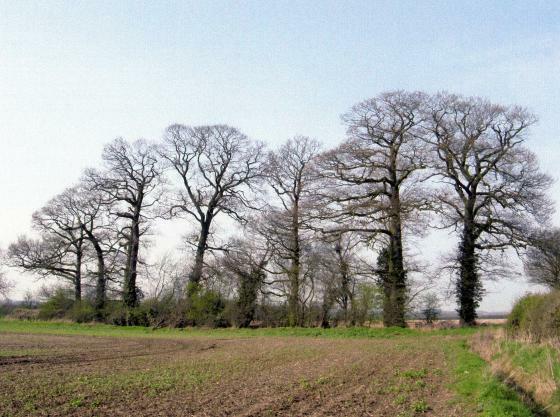 They are still the parish boundaries of today (2013). We have named this 'Brian's Barrow' in honour of his determination to find if this was relevant. 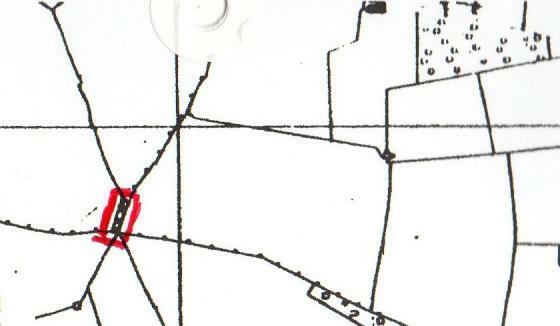 This is the stint that includes the point of the meeting up of the Parishes of Rothley, Wanlip and Thurcaston and includes a boundary with Three Parish Copse (see separate sheet). 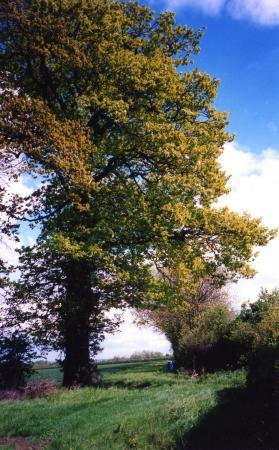 Two Oak trees are included in the stint and these have been recorded in the Natural History survey as Trees 255 and 249, the latter being in 21A and the former in 21C. 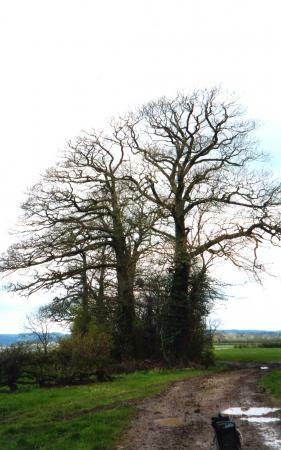 Sections 21C and D show a ditch between parallel hedges with the ancient trunks of hawthorn being on the Wanlip side. There was a good selection of species with Hawthorn and Ash predominant, Blackthorn, Field Maple, Dog Rose and some good pieces of Crab Apple. 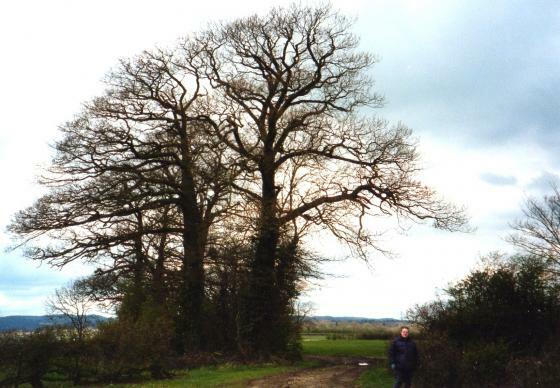 However, the date will be assessed on the whole stint but two different hedgerows are included.